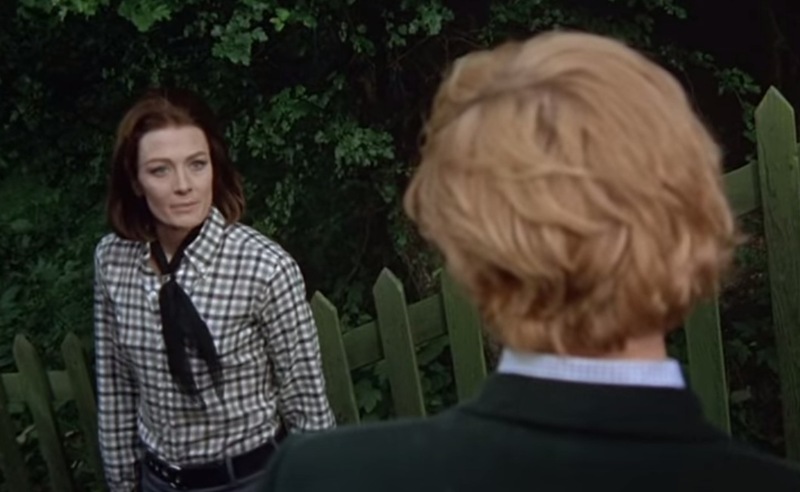 Last night on TMC they were showing Antonioni’s Blow Up — one of the brilliant films I watched in 2012. This was while I was working / living with Jim Groom, and we enjoyed a mini 1970s Conspiracy Movie fest. Jane: What are you doing? Stop it! Stop it! Give me those. You can’t photograph people like that. Thomas: Who says I can’t? I’m only doing my job. Some people are bullfighters…some people are politicians. I’m a photographer. Jane: This is a public place. Everyone has the right to be left in peace. Thomas: It’s not my fault if there’s no peace. Thomas shrugs it off, he is above that. He is detached. And he is blameless for the lack of peace (or privacy). He just photographs. It’s worth a closer watch again, and again. Actually I still need to follow De Palma’s somewhat recasting of the plot as Blow Out. Or just go visit Jim and ask to watch more movies. What is it about that scene in particular that drew your attention? Was it her false assumption that she couldn’t be photographed in public, when legally she can? Was it his assumption that there is no public peace? How do you locate yourself in that scene? 4) Fanfiction – adaptation of existing pieces of art. I care a ton about attribution, way more than copyright. All I like to see is “I used ______________ from ________________ found at this link ________________” in whatever form they see fit. It gets tricky to cite a remix like Scary Mary; I guess is the element something that is definitely the work of that remix, or is the clip so small its the reference is the original? If everyone cites their sources, when I got to SimonsRemix, I find his references, and I go back and back (inception like). I don’t make rigid requirements on how students list their sources, just that they try. They should develop something that makes sense to them. I’m asked as well how I deal with copyright. I don’t talk about it explicitly with messages of THIS IS WRONG, ITS A CRIME, IF YOU DO THIS BAD THINGS WILL HAPPEN. That seems a rather backwards way to encourage the acknowledgement message of attribution (to me it is saying, “thanks”). This is how I “deal” with copyright– I want my students to come face to face with it. I want them to get take down notices. The context on which copyright law was erected is not the same ground we stand on now. Thanks Alan that is really useful. I like the approach of developîng personal reflection on what are complex issues. I am enjoying this learning seam. It is rich.